Our team has 150 years combined experience with strong specialties in the food industry. Originally started Prana Foods in 2008 over Saturday breakfasts with friends. Many people who tried her pancakes said “Oh my God, these are the best pancakes I’ve ever had!” When she told them they were complete protein, rich in fiber and totally vegan, they said “You should sell these!” And so she did. It is said that no one can be both a good cook and a good baker. Lisa proves this rule by being the exception. Prior to being a mom and needing to cook, she worked in recruiting for many startups in Silicon Valley. She has has over 20 years experience in business in tech startups, real estate and food. She is a shameless opportunist and really knows how to build a team. When she doesn’t know something herself, she has a knack for finding the right people to do it or show her how. Brought the first ever kale chips to market with her company, Alive and Radiant Foods. Their products literally flew off grocery store shelves. She built the company to 65 employees, product in thousands of stores and 10 million in revenue before selling it. She knows how to package and promote high end, high value (read: expensive) products. 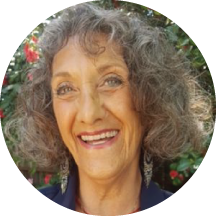 She is a keen strategist, is connected to everyone in the world and she knows the fine details of how to scale an organic, plant based, socially responsible food company to make it highly profitable. She aims to help us achieve a healthy triple bottom line of people, planet and profit. Lisa’s husband, is the real inspiration behind Prana Foods. On Saturday mornings, he doesn’t want to eat anything for breakfast but pancakes, like his mother used to make. Being the primary grocery shopper in the family, he used to bring home pancake mixes, until Lisa said “We don’t buy mixes! We make things from scratch!” Besides being a charming muse, he is a dedicated father to their 12 year old son, has been a successful investor in Real Estate for over 30 years and is an expert in Finance. David helps with everything in Prana Foods — fundraising, sticking labels on bags or getting the mixer down from a high shelf-- and makes sure the company's finances are solid, organized and tight. 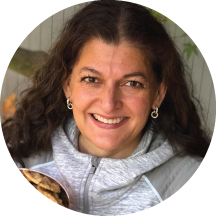 Creator and Owner of Jenny Kassan Consulting, is the main advisor to Prana Foods. She has an extraordinary ability to help her clients, including many food companies, bring about business success while preserving their social values. She pretty much invented investment crowdfunding with a handful of other people and doesn’t take any credit for it. Her clients have a WAY better track record of success than Non-Jenny-Clients. Literally, as far as is known,100% of them are still in business. Depending on how you count it, this is either is 95% or 100% better than the average startup which fails in the first 5 years. And Jenny doesn’t like it when Lisa says that, because she hasn’t actually asked every single client. Lisa is waiting for her to do that. But clearly Jenny’s clients are not average startups. Founder of Reeds Inc and creator of Reeds Ginger Brew, is a longtime friend, trusted advisor, advocate and loyal fan of Prana Foods. As founder of a successful food startup that became a publicly traded company, Chris has provided advice, resources and valuable support to Prana Foods management team. Chris continues to advise Lisa and David in the ways of becoming a big national brand.